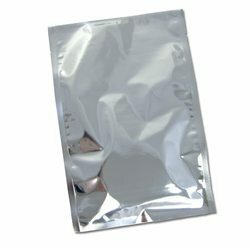 We are the exporters of metalized polyester films also known as polyester metalized films (9 and 12 microns) which has given us a unique position in the industry. We also offer slitter rewinding machines used for slitting or rewinding of BOPP, PET, CTP, PVC and hygiene films. Strength, durability, cost, and stretch make polyester material the most widely used in fabric structures. Polyesters that are laminated or coated with PVC films are usually the least expensive option for longer-term fabrications. Our organization has expertise in manufacturing OPP laminates. These laminates are perfect for photo lamination, labeling and printed surface protection. We offer to our honored patrons the first-class range of Polyester Laminate. Furthermore, our patrons can avail this product from us at affordable rates. 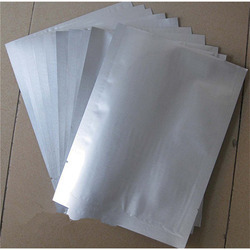 We specialise in manufacturing Silver paper plate raw material. As the name suggests, it has a layer of silver metallised film laminated on Indian Kraft paper. We use good quality kraft paper and Metallised Polyester Film instead of conventional BOPP Film. Backed by a team of adroit professionals, we are manufacturing and supplying an extensive array of Polyester Lamination. We introduce our business as a notable entity of qualitative array ofIca Polyester Lamination. We are offering Printed laminated rolls. The laminated rolls are known as an excellent packaging solution and are available in various sizes, Offered with different film combinations, these are designed for fineness in the quality and appearance of the rolls.